One of the things I love about Cebu is that one could easily get away from the hustle and bustle of modern city life and head to a nearby beach 30 minutes away. 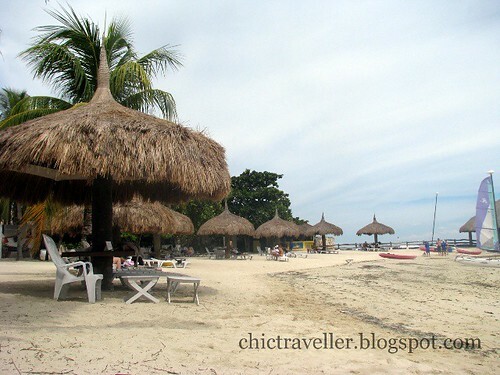 I spent my Sunday last weekend at Maribago Bluewater Beach Resort in Mactan, Cebu. 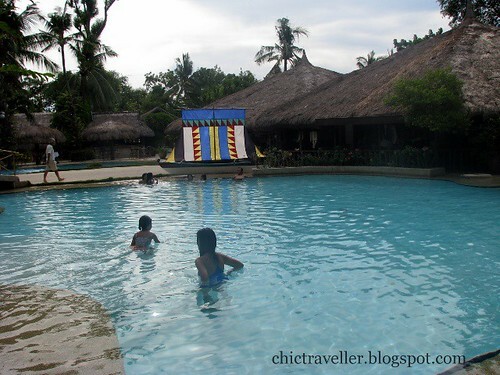 They have a day trip package for Php600, and one could avail of the resort's facilities from 8am - 5pm. The scene was definitely picture-perfect. We spent our first few hours idling by the beach. I was relaxing by the shore while my companions headed off to swim in the sea. The water was not exactly crystal clear, but it was okay. There were a lot of tourists around, particularly Koreans. Most of them were eager to try the water sports available -- kayaking, parasailing, jetskiing and many more. There were also a few who went out diving. 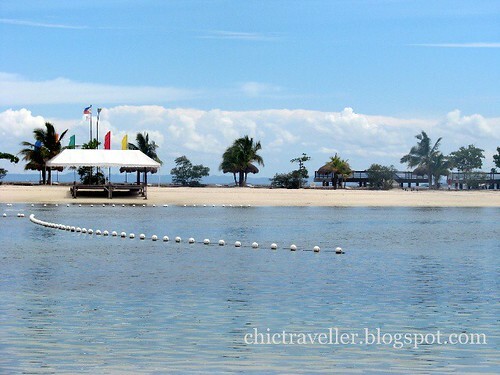 One thing unique about Maribago Bluewater Beach Resort is that they have a man-made island nearby, accessible by a raft or small banca. From there, guests could lounge and relax by the seashore. For larger groups, they could rent it out and have a private event there. I once attended a beach wedding, and the reception was made on Maribago's island. It was perfect for the bridal party since they got to gather their guests on the same place, and the guests couldn't leave easily after their meal since people would definitely notice if they went ahead. If seawater's not your idea of fun, then head off to the nearby pool. The water depth varies. There's a 2.5-ft area for the kids, while the adults could enjoy swimming at the 5-to-6 feet levels. If you get hungry from all that swimming, there's a restaurant nearby that you could go to. Too bad I wasn't able to try out their restaurant that time. I'll reserve that for a future blog entry.